On September 25, 2015, Emad Hassan Ali died of colon cancer while in the prison hospital after prison authorities refused to provide him with adequate health care and medication. There are more than 40,000 political prisoners in Egypt facing the same fate. Al Aqrab prison has received attention recently after the Egyptian authorities started to make things really difficult for the prisoners and their families. To give people some background, this is a very good documentary that was produced in 2015 by Al Jazeera English and it's one of very few English video evidence on the political prisoners' crisis in Egypt. 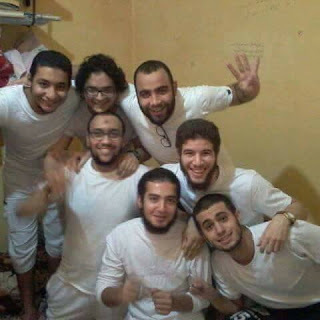 For more than forty days, at least 32 men incarcerated inside of Egypt's al Aqrab Prison - "The Scorpion" - have been on a mass hunger strike demanding basic human rights, including visitation and medical care. Egypt's Al Aqrab prison, wherein Egypt is currently holding up to 1000 political prisoners, has long been decried for the cruel conditions and routine torture carried out there. According to Al Jazeera, "a series of violations took place this year inside al Aqrab, including several assaults by prison guards on inmates - as well as against their family members. The alleged beatings triggered a few prisoners to go on a hunger strike on February 17 who were later joined by more than two dozen other inmates. They say they will continue refusing food until their demands to improve conditions are met. " The protests have garnered wide public support in Egypt, online and in protests in the streets, but there has been limited coverage in English-speaking media. The protests have highlighted the cruel and inhumane treatment of prisoners' families. 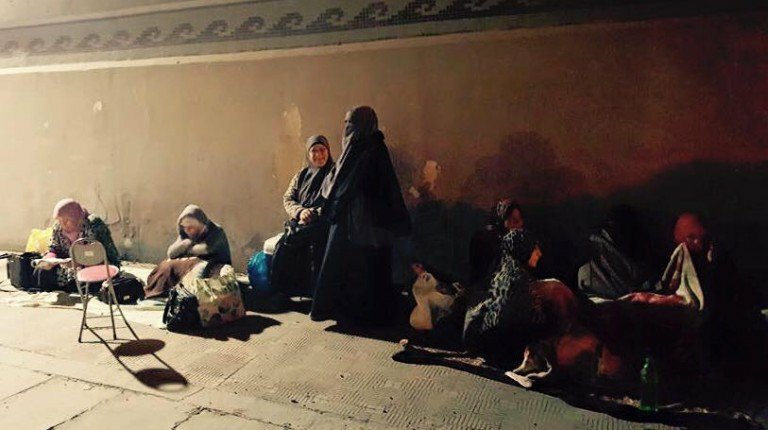 Videos and photographs show family members waiting outside of al Aqrab and sleeping on the cold pavement, in order to visit their family members. The Egyptian prison authorities have repeatedly cancelled all visits to al Aqrab, and when they do allow visits, the visits last between one and three minutes. A statement released by reputable Egyptian human rights organizations on March 23 called for the closure of al Aqrab prison until the prison complies with international law, among other demands. The entire statement reads as follows: "Human rights violations against detainees in the high security Tora Prison No. 992, known in the media as Al-Aqrab (Scorpion) Prison, has surpassed all boundaries - in which detainees are not in a prison anymore, they are in a cemetery where they cannot exercise their most basic rights including their right to live, their rights to treatment and medication, their right to bodily integrity, their right to have visitations, and much more; not to mention the suffering the detainees must endure from extreme torture and the suffering their families go through in order to see them. Al-Aqrab Prison lacks the basic components of constitutional and legal standards for any prison according to the constitution and international laws/ agreements. 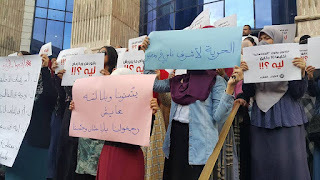 The signatories of this statement declare their full support of the demands of the Al-Aqrab Prisons' Families Association to close Al-Aqrab Prison for its complete violation of all International Standards for prisons and laws and standards provided for in the Egyptian constitution, until there is proof that no violations will occur, and mechanisms are put in place to monitor this. The undersigned organizations assert their full support and solidarity with the families' demands for moving their detained family members from Al-Aqrab prison and to another prison that abides by and implements the local and international legal specifications and requirements for prisons; to a prison that allows detainees at least their most basic human and legal rights to receive medication, exercise, communicate (through writing and telephones) with their family members, have family visitations, have books and newspapers, and much more, and one that abides by all the rights enshrined and set forth by prison regulations which were founded by the prison services of the Ministry of Interior Affairs. Furthermore, the undersigned organizations demand that all appropriate procedures be followed for the release of all detainees who have completed their conditional/temporary incarceration and all those who have been detained without any judicial orders or decisions from the prosecutor. We also call for all the undersigned organizations to be allowed entry into Al-Aqrab Prison in order to investigate on whether International prison laws and regulations are actually being implemented or not in Al-Aqrab, and also to investigate on the extent of the prison's administration's commitment to implementing the prison regulations. Furthermore, we call for the undersigned organizations to communicate directly with Al-Aqrab prisoners in order to ascertain the credibility of the allegations of the Ministry of Interior affairs and the prison of their commitment to the implementation of proper laws." The statement is signed by the Egyptian Coordination for Rights and Freedoms, the Agency to Defend the Oppressed, El Nadeem Center for the Rehabilitation of Victims of Violence and Torture, and others. The Egyptian woman who's husband, brother, father, or son is imprisoned! "One hundred and fifty of the Aqrab detainees, who families say are all being held on political grounds, have begun full or partial hunger strikes. “This is a rough estimate,” said Aya Alaa Hosny, whose husband is one of about 1,000 detainees who have been charged with what she claims are political crimes, and are held in the Aqrab. "In its latest report, Human Rights Monitor (HRM) said it had received complaints from families of Aqrab Prison political detainees expressing deep concern for 19 Egyptian detainees now suffering slow extrajudicial killing, amid a total ban on visits and medicines by the prison administration who also stripped detainees of all cell contents." More than 30 inmates held at "Egypt's Guantanamo" refusing food to highlight inhumane conditions, including beatings. Inmates at al-Aqrab prison, one of the most notorious jails in the Arab world began a hunger strike 12 days ago protesting inhumane conditions and treatment.